SAMSULA, Florida -- When a man seeking help showed up Tuesday night at a Samsula residence, dressed in only his torn underwear and all beaten and bloody and with rope tied around his neck and wrist, the homeowner knew something was horribly wrong. The Volusia County Sheriff’s Office was summoned to the scene at 8:16 p.m., sparking an investigation that would uncover a brutal attack that ended with a 54-year-old man being tied to the bumper of a pickup truck and dragged for a half-mile down a dirt road. The victim ended up in the hospital’s intensive surgical care unit with a broken pelvis, broken facial bones and bleeding in his brain. Two people -- the victim’s ex-wife and her brother -- are in custody, charged with attempted murder and other criminal offenses. Sheriff’s investigators are still searching for a third accomplice. The victim’s ex-wife, 61-year-old Jeannette Morris, had actually called the Sheriff’s Office on Monday asking for assistance. She explained to deputies that she’s a truck driver who’s out of town a lot and allows her ex-husband to stay at her house on High Ridge Lane while she’s away to tend to her animals. The two actually have a written agreement allowing the ex-husband to stay there until she repays a $1,300 debt to him. However, Morris told deputies that she had heard that her ex-husband’s girlfriend also was staying at the house and she didn’t want to get into a confrontation when she returned on Tuesday. Morris was instructed to call back when she got into town so that a deputy could accompany her to the house to make sure there was no trouble. Deputies say she did as instructed, and when Morris and the deputy arrived late Tuesday afternoon, her ex-husband was there and appeared to be drunk. A short while later, Morris’ brother, 63-year-old Harold Anderson, showed up. In order to avoid any problems, Morris told the deputy that she would spend the night at her brother’s house in Edgewater, Florida. However, deputies say that never happened after the deputy left. Instead, Morris, Anderson and a third person went inside the house and began drinking vodka with Morris’ ex-husband. But at some point in the evening, the three then allegedly attacked the victim. First, he was shocked several times with a stun gun and then repeatedly punched in the face and had a gun put to his head. The victim then said his attackers tied his hands behind his back and dragged him outside, where they then tied another rope around his ankles and attached the other end to the rear bumper of a pickup truck. The truck then took off, and the victim was dragged down a dirt road. The victim said that at some point, the truck stopped and he was tossed into the bed of the truck. 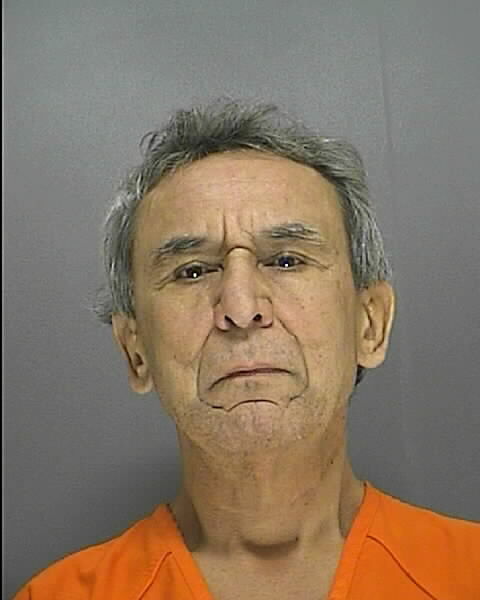 They are even alleged to have cut off some of his hair while talking about scalping the victim. But when the victim overheard the suspects talking about finding a hole to bury him in, he knew that he had to attempt to escape. He managed to break free, leaped from the moving truck and ran to the nearest house to summon help. The victim ended up at a house on Powerline Road, where the resident contacted the Sheriff’s Office. The victim was treated on scene by paramedics for his injuries and then transported to Halifax Health Medical Center in Daytona Beach for further medical attention. Deputies located Morris, who claimed nothing had happened. However, deputies say that she had what appeared to be dried blood on her clothes and hand. During questioning, she insisted that the blood was from breaking up a fight between some dogs earlier in the day. She also told investigators that she didn’t wish any harm on her ex-husband - but just wanted him out of her house. Deputies then found and arrested Anderson. And when they did, his right hand was swollen and the knuckles were cut and bloody and he had a gun on him. They also found a shovel in his vehicle. Investigators who questioned Anderson noted that he wasn’t the least bit remorseful. Deputies say that Anderson said that it wouldn’t have bothered him if the victim had died and that the only thing that he regretted was not being there to see him dragged behind the truck. Morris and Anderson were charged with attempted murder, conspiracy to commit murder, false imprisonment, aggravated battery and aggravated assault. Both were taken to jail and held without bond. The Sheriff’s Office is continuing to search for the third suspect. 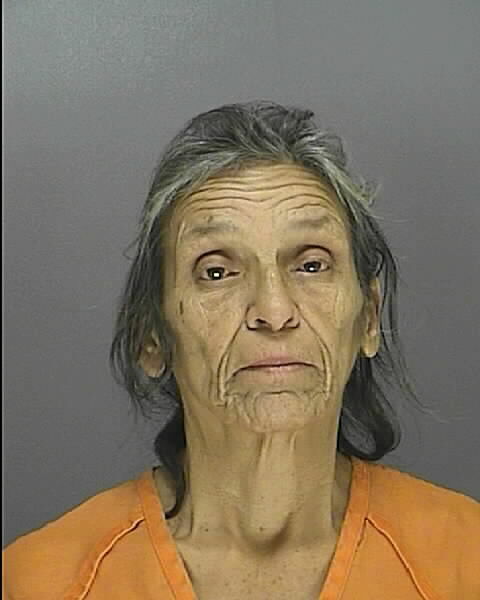 Volusia County Sheriff’s deputies have located the third suspect in Tuesday’s attempted murder case - 46-year-old Joan Hobart of New Smyrna Beach, Florida. She was spotted late this afternoon walking in the parking lot of a store at the corner of S.R. 415 and Taylor Road in Port Orange, Florida. After questioning from Sheriff’s investigators, Hobart was arrested for her role in incident. The Sheriff's office says that she will be transported to the Volusia County Branch Jail in Daytona Beach, Florida where she will be booked on the same charges as her two co-defendants -- attempted murder, conspiracy to commit murder, false imprisonment, aggravated battery and aggravated assault.